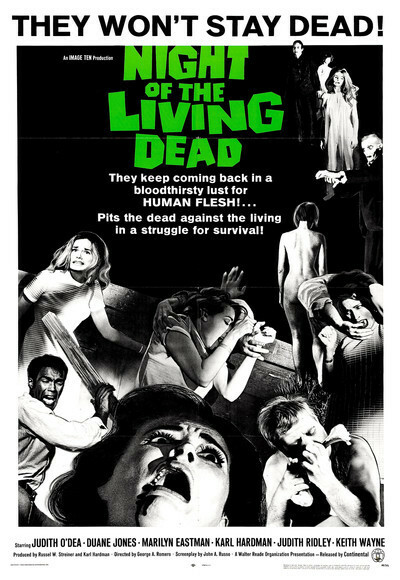 Regular readers will know that we have a bit of a zombie obsession here at SLS, so I was sad to hear of the passing of George Romero, who, more than anyone, defined the undead aesthetic that underlies just about every modern zombie-themed film and video game. Night of the Living Dead is a groundbreaking classic of course, but, for me, Romero’s masterpiece is Dawn of the Dead, which inserts its shambling horror into the all-too-recognisable mundanity of everyday life to truly terrifying effect. If it has a fault it is that it’s too terrifying; despite it being one of my favourite films I haven’t watched Dawn of the Dead for years, because I know that a viewing will give me vivid nightmares for days afterwards. They shoot Youtubers, don’t they? I may affect indifference towards the fact that, according to the merciless WordPress statistics page, virtually nobody ever comes to visit our little blog any more, but the truth is that I miss the days when we had lots of traffic, and I’d do anything to attract a few more views again. Well, perhaps not anything; I’d probably draw the line at having my partner shoot live ammunition at my chest in a misguided attempt to capture the attention of the notoriously fickle YouTube demographic. Depressingly this story isn’t an aberration; there are plenty of examples of would-be social media stars abusing their children, leaping from high places, lighting themselves on fire, or doing other stupid stunts in the hope that it will be their ticket to internet fame, and the fabled wealth that comes with it. The spectacle of the desperate poor demeaning themselves for our entertainment is nothing new; there were dance marathons and other indignities during the Depression, truck-touching contests have a proud history, and as recently as 10 years ago people were dying to win a video game console. Now, in our wonderful modern world of 24/7 digital connection, it’s not even necessary to leave the house to join in; that’s progress I guess.